Pallavi Bhattacharya writes about her visit to Shantiniketan, celebrating the vision of Rabindranath Tagore. In 1862, Maharshi Devendranath Tagore, while on a boat journey to Raipur, came across a landscape with red laterite and meadows of lush green paddy fields. An orchard of chhatim trees and date palms specially captivated him. Here he planted more saplings and built a small house. 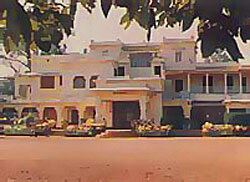 He called his home Santiniketan (abode of peace). Santiniketan became a spiritual centre where people from all religions were invited to join for meditation and prayers. On December 22 1901, Devendranath's son, Rabindranath Tagore started a school at Santiniketan named Brahmacharyasrama modelled on the lines of the ancient gurukul system. Later it was renamed Visva Bharati, it's symbolic meaning being defined by Tagore as "where the world makes a home in a nest". The aim of this educational institute was the quest for truth, blending the methods of learning of the East and West. Visva Bharati is now more than a hundred years old, one of the most prestigious universities of India with degree courses in humanities, social science, science, fine arts, music, performing arts, education, agricultural science and rural reconstruction. It has retained its traditional ambience but has also evolved with the changing times. Visva Bharati University is a reflection of our cultural heritage. Our train rolled into Bolpur, close to Santiniketan. We stayed at the government tourist lodge of Santiniketan, where room rates are reasonable and Bengali food is served at the restaurant. We soon found out that the best way to tour Santiniketan is by cycle rickshaw. Most residents of Santiniketan actually travel by bicycles making it a pollution free town. A woman in sindur and saree on a bicycle is not an uncommon sigh here even if it would be unthinkable on a Kolkata street. Though contemporary Santiniketan does have cyber cafes, photostat shops and cinema halls; I must say that it has retained much of its rural landscape and the main town is relatively calm and quiet. Even street rallies protesting VAT and the war in Iraq were not disruptive while expressing a deeply felt concern. The cycle rickshaw driver volunteered to be our tour guide and I was amazed by his knowledge of Tagore. He quoted lines from his poems quite freely. Travelling along the kuccha brick red streets fringed by villages with grazing cattle he said,"Graam chara oi ranga matir poth, amar mono bhuloy re (The red street which takes off from the village, it captivates my soul)... Santiniketan inspired Tagore to write those memorable lines." Santiniketanis are far more possessive of Tagore than Kolkatans are. The sprawling Visva Bharati University campus is amidst verdant green. School students in orange uniforms can be seen studying under the cool shade of trees, formal classes are held outdoors, just as Tagore had intended it to be. India's first Nobel Laureate, Tagore had dropped out from school, as he felt claustrophobic within the four walls of the classroom. He felt that students should be close to nature. Tagore was not a mere dreamer, he was a visionary with the will power to translate them to reality. Visva Bharati University is proof of that. Some notable places of historical and cultural interest are Santiniketan Griha - the building where most poems of Gitanjali were composed, the Upasana Griha - a deityless Belgium glass temple, the Amra Kunja (mangrove) where spring festivals are held, Dinantika - the tea club where teachers and staff would gather for a chat and Tin Pahar - where the infant Tagore had once made three hillocks of pebbles. 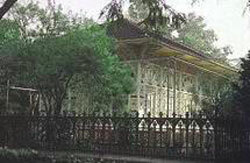 The Rabindra Museum, inaugurated by Pandit Jawaharlal Nehru in 1961 has manuscripts, letters, paintings and gifts presented by various dignitaries of foreign countries; Tagore's hand written letter refusing to accept Knighthood, his Nobel Prize medallion and citation, and personal items of the poet. In the video parlour Tagore's voice can be heard. Art lovers will enjoy the Kala Bhavan Art Gallery where works of famous Indian artists like Rabindranath, Abanindranath, Nandalal, Binod Behari, Ramkingkar, Asit Haldar, Mukul Dey, Makbul Fida Hussain, Nisikanta as well as foreign painters are on display. The Black House has unique sculptural designs of Bhar-hut Mahaballi Puram, Assyrian and Egyptian schools. Linguists can visit the China Bhavan and Hindi Bhavan. Visva Bharati in fact has degree courses in modern Indian, European, Asian languages and classical languages. Visva Bharati University is more than an exponent of only Rabindra Sangeet. Sarod player Ustad Ali Akbar Khan inaugurated its Allauddin Music Centre. Pandit Ravi Shankar has performed in Santiniketan. Purna Das Baul makes it a point to spend most of his birthdays here. Hindustani Classical Music is also offered as a degree course. Visva Bharati is proud of it's alumni which includes Indira Gandhi, Amartya Sen and Satyajit Ray. Tagore fondly called Indira Gandhi Priyadarshini. She ate the same food as the other girls, cooked meals at the hostel and dressed in the coarsest khaddar, with a natural ease. Many important guests and dignitaries have visited Santiniketan including Mahatma Gandhi who fondly called Tagore 'Gurudev'. "Visva Bharati is like a vessel which is carrying my lifes best treasure," said Gandhiji. At Shantiniketan, 10th March is celebrated each year as Gandhi Punyha. Fairs and festivals are intrinsic to Santiniketani life. Rabindranath's birth anniversary is observed on Bengali New Year. Brikshropan Utsav is observed on the day of Tagore's death by the planting of saplings. The fields are ploughed through songs and recitation on Halakarshan Utsav. Maghotsav during the month of Magh, in January, is the celebration of the anniversary of the foundation of Brahmo Samaj. Sarodotsav is an autumnal festival celebrated just before the University closes for the Puja vacation; songs, dances and plays accompany it. The most important fairs of Santiniketan are Pous Utsav and Vasanta Utsav. Pous Utsav coincides with the foundation day of Visva Bharati; tribal songs, dances and folk songs are put up. Vasanta Utsav is celebrated on Holi, students don colourful costumes and hold a variety of open air programmes. Two kilometres away is Sriniketan, also a part of Visva Bharati, which is devoted to rural reconstruction. There are cottage industries specializing in pottery, leatherwork, batik print and woodwork. Four kilometres from Santiniketan is the Deer Park. It's quiet and wooded with walking trails, where herds of deer can be seen. When they hear human footsteps they freeze and grow wary. We tried to take a photograpg but the click of the camera made the deer take to their heels. So, it is always better viewing deer from the watchtowers. Kankalitala is 9 kms away from Santiniketan, on the bank of the River Kopai. Here a midriff bone of Mata Sati fell, and it is a shakti peeth with a cremation ground and a Kali temple. We visited Kankalitala in the afternoon. Stray dogs were sniffing around, a sadhu was sitting pensive on the steps of the temple and a baul was singing a song about death being a leveller. Unlike a usual Hindu pilgrimage site it was serene and uncrowded. On our way to Amar Kutir we passed by a Santhali village. Santhali women were busy gathering firewood and fetching water from the well. Amar Kutir, five kilometres away from Santiniketan, was our last destination. We bought souvenirs for friends and relatives from a variety of leather goods, handloom and batik handicrafts. Besides encouraging the making of handicrafts, the Amar Kutir Society has opened medical clinics and looks after forestation. On the last day of our trip, we watched the sun set on the River Kopai in the evening at the backdrop of the sal and eucalyptus forests. Even in the twenty first century Santiniketan has retained the sanctity of an ashram without being isolated from the world. All year round tourists from India and abroad visit Shantiniketan - seemingly the world reaches out to it.